For the past few years, I have kicked off my series of end-of-year round-ups with a selection of my London food and drink favourites. But as I have spent a fair amount of time travelling this year, I thought it was high time for a revamp. 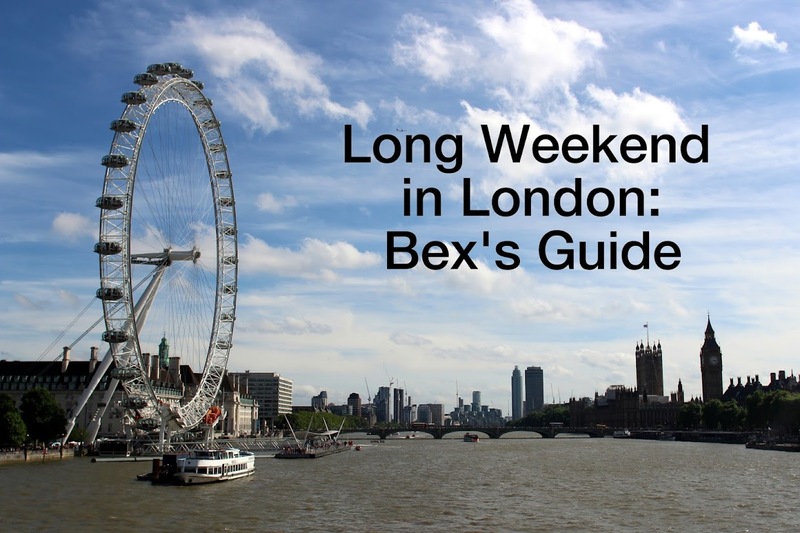 I've kept the same categories as before — best coffee, brunch, street food, restaurant and cocktail — but as well as including my pick for London of the new-to-me places, I've also included an international category so that I can highlight some of my travel food and drink favourites. For the coffee category, it was too hard to narrow down my choices to just two, so I included one for London and the UK, one for the US and one for rest-of-world. I've linked my reviews for each winner and runner-up, so click on through to find out more. 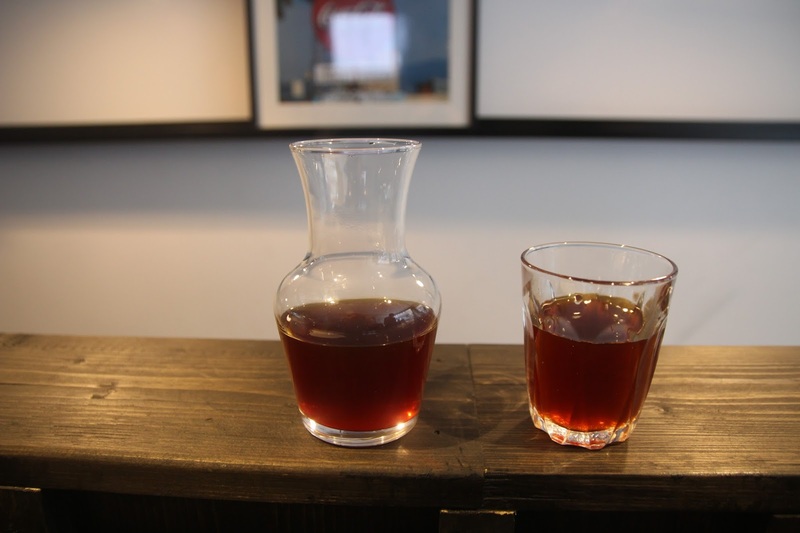 I had my best pourover of 2016 at Origin's Charlotte Street café in Shoreditch back in March and I was even more pleased when they opened a coffee bar at the British Library, near my King's Cross office, in September. 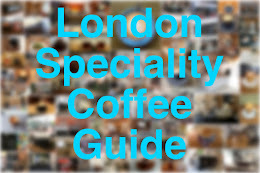 You can read more of my London coffee shop reviews here. Runners-up: Lundenwic (London) and Society Café (Oxford). 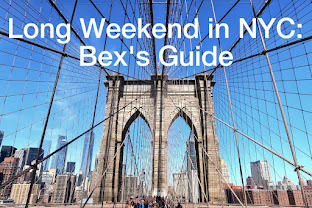 Although I only made two trips to the US this year — one to Portland, Oregon, and Washington, DC, in February and another to New York in October — I managed to pack in visits to 32 new coffee shops. 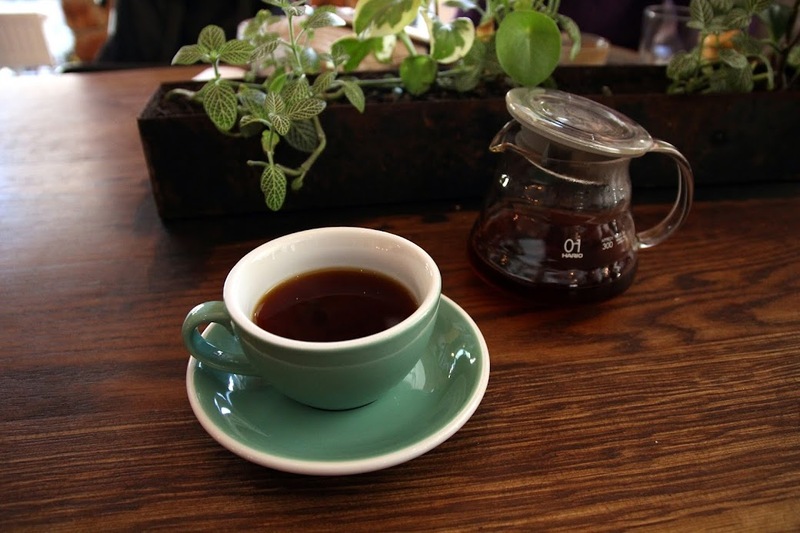 It was really hard to pick just one, but Bushwick's Supercrown with its excellent and beautifully packaged house-roast beans, immaculately brewed pourovers and relaxed ambiance won me over. 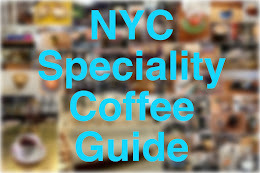 See also: more of my New York coffee adventures, my Portland coffee guide, and my DC coffee guide. Vietnam, Paris, Naples and Reykjavik all surprised and delighted me with their coffee scenes this year, but it was Stockholm's Café Pascal that really stood out for me thanks to its excellent (Koppi) pourovers, fab brunch and casual but fun neighbourhood vibe. 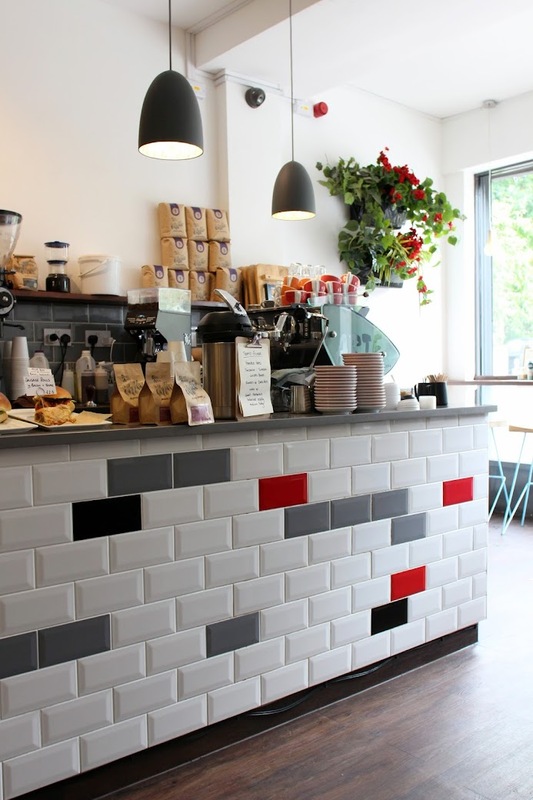 Friends of Ours is the kind of neighbourhood brunch spot that every neighbourhood needs. 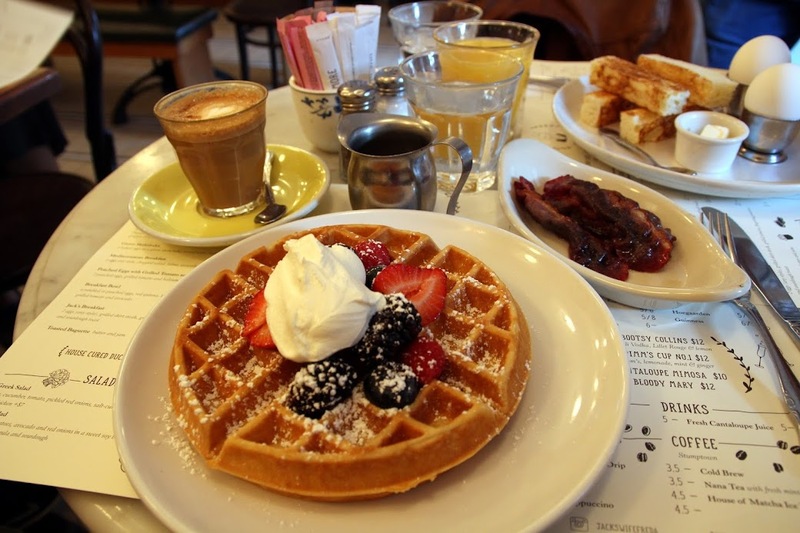 Plus, they serve brunch on weekdays; what's not to like? Technically, I went to the Soho branch of Jack's Wife Freda for breakfast not brunch, but that made it much easier to secure a table and I would have happily enjoyed my rosewater waffles with a side of duck bacon for brunch (or dinner, for that matter). A varied selection of street food — including plenty from some great gourmet Italian producers — is available at the large and bustling Mercato Metropolitan market that opened this summer in Elephant & Castle. There's also a pop-up cinema and an Italian deli. 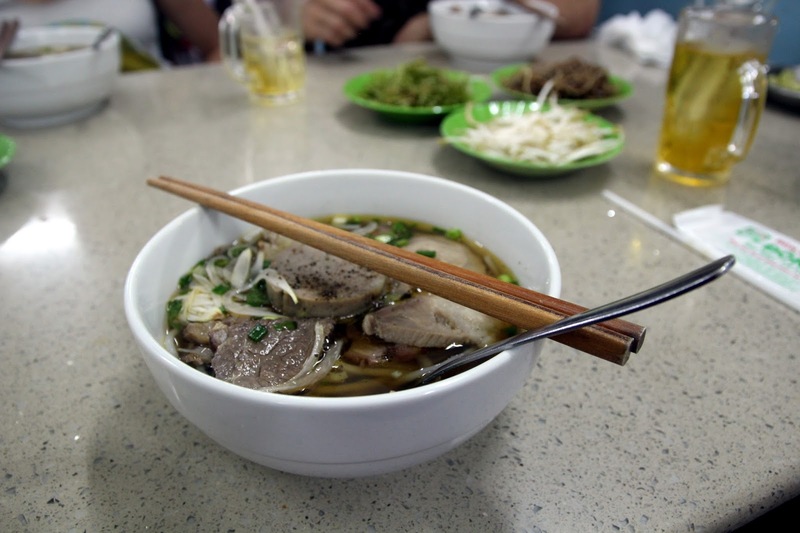 I could have included almost any of the street-food meals and dishes I ate in Vietnam, so I'm cheating a little bit by including XO Tours' street food tour of Saigon by motorbike. I ate so much great food that night, including many dishes I wouldn't have known to order (and some that I might have been too squeamish to order) and although expensive, it was great fun and a great way to see the city. 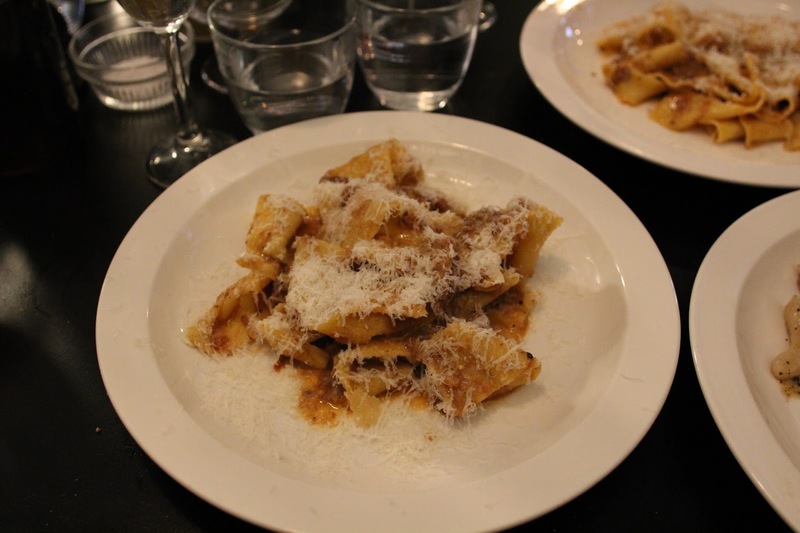 Padella serves quite possibly the best pasta in London at very reasonable prices. It's well worth the queue outside the new Borough Market restaurant — go early if possible. We had an epic lobster and seafood feast at Cull & Pistol in New York's Chelsea Market. It gets very busy at the weekends but the petite restaurant is worth waiting for. I'd been waiting quite some time for Pedler's little sister (brother? ), The Beautiful Pizza Boy to open up, but the pizza and the cocktails at the modern-Neapolitan restaurant on Bellenden Road are excellent. The Rosa Verde cocktail (Buffalo Trace, rose vermouth, pistachio orgeat and rose petals, with a Campari powder rub) looked great and tasted better. 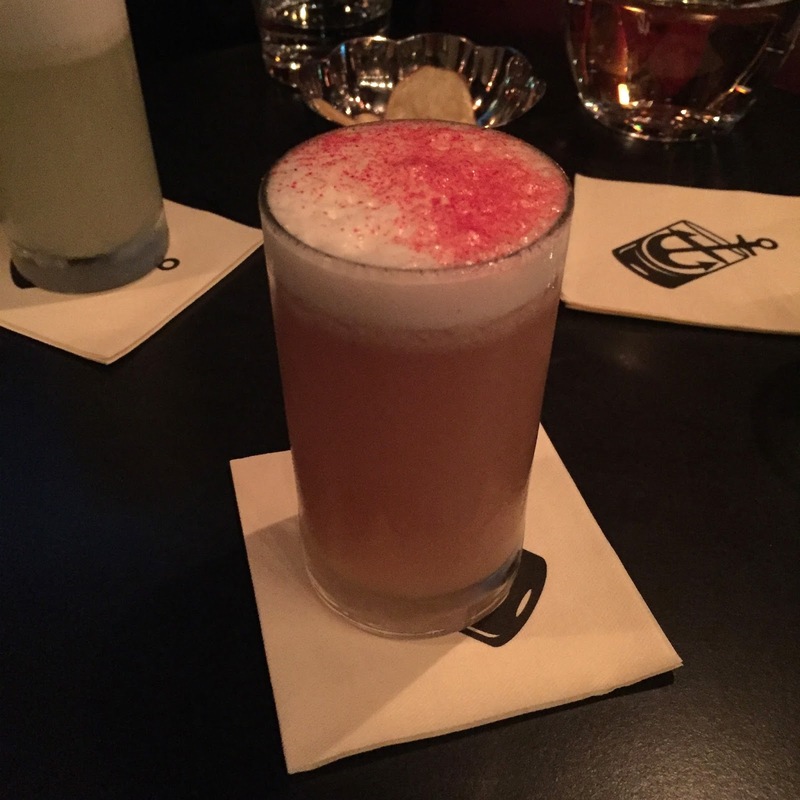 When I spotted the 'PBJ on Wholegrain' on the menu at Tweed in Stockholm, I only asked the waiter to tell me more because I thought it sounded absurd, and yet by the end of his description, I was sold, and it was easily my most memorable cocktail of the year — in a good way, of course. It involves whiskey blended with peanut butter using a special machine, and is smooth, sharp, sweet and fruity. 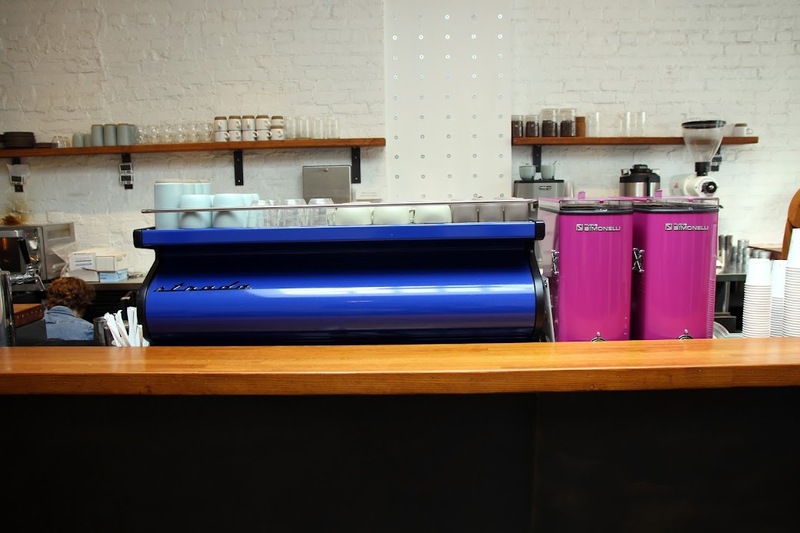 Where were your favourite new coffee shops, cocktail bars and restaurants this year? I'd love to hear about them in the comments.